Your blog is a grace, Sisters. Your words strengthen me, from prayers repeated in text and by stories. Heartfelt thanks! 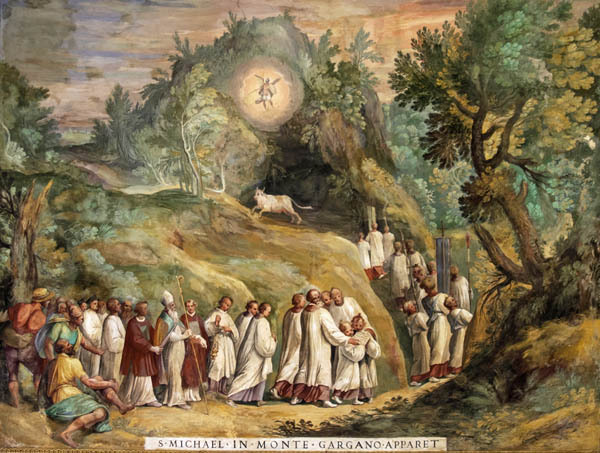 I believe the story about Saint Michael the Arch Angel and the bull. The messages from the Popes regarding Holy Sprit and Satin are also true. We ( Christians ) all have been reserved for this dispensation to live on earth to fight this battle against Saitin and to share the Gospel with ALL people. Now is the time for all Of Christ followers to let the world know He Is Comming. He, Jesus Christ, will expect his Saints and followers to stand up and acknowledged His Comming. I pray humbly that we Let the love of Jesus Christ, and of God our Heavenly Father give us the strength to do His will and prepare for His return. NOW. GOD BE WITH US IN THE HOLY NAME OF JESUS CHRIST OUR SAVIOR AND KING. AMEN.